Palliative care and hospice programs memorialize their patients in many different ways. I'd like to draw attention to a unique memorial ongoing through my home institution, Wishard Health Services in Indianapolis. My mentor and colleague Dr. Greg Gramelspacher will pedal a bicycle across the United States to commemorate the 10 year anniversary of the palliative care program at Wishard and to remember the over 3300 patients for whom the program has provided care during that time. The journey begins today, September 14, in Santa Barbara, CA, and will conclude October 24 in Charleston, SC. Each day, Greg will carry a list of 80 people to whom his ride that day will be dedicated. Wishard is a city-county hospital that focuses on serving the vulnerable population of Marion County and serves as the flagship site for palliative care educational efforts at Indiana University School of Medicine. The day to day struggles that many of our patients face often humble our team. Dr. Gramelspacher tells the story of a patient who told him, "that's only the fifth really bad thing that has happened to me this week," when he was told that he his cancer had metastasized. KLX Media has provided wonderful support in developing a Social Media strategy to help spread the word of this event. 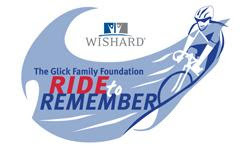 The Ride To Remember (R2R) Blog will include updates from his trip, a list of patient names for each day, and stories/poems/remembrances written by team members and others about patients who have touched the Wishard Palliative Care Team. (See the first story about Mr. Suri and his son, Perminder.) You can follow R2R on Twitter and Facebook and follow updates of the blog through RSS, if you wish. Greg will also stop every 20 miles to send a telegraph to you if you want (kidding). I invite you to drop in on any of these internet venues and leave a note.